I'm guessing you are familiar with Jacinda and Jaime of Pretty Prudent. Their website is laden with inspiration and DIY. It seems they do it all, from food and parties, to style and home decor. Now, they have packed a bit of their creativity in the form of a book with over 70 project ideas. Today, I have the privilege of taking you on a little tour and review of Pretty Prudent Home: Your Ultimate Guide to Creating a Beautiful Family Home . The photograph that greats you when you first open the book might be my very favorite. Before kiddos, I loved to labor over pretty packaging. This certainly makes me want to get back in that mode! Here's a little overview of what you will find inside. The "prudent" aspect of the book speaks to me. I love how the authors demonstrate creative ways to achieve a decorating style. You don't have to hire an expensive decorator, buy all new items, or break a budget!! There is even a game/test to determine your decorating style, or as they state "an exercise in decorating self-awareness". It's unscientific and includes a nap as part of the instructions, so enjoy the whimsy of it all. I landed at a tie between "thrifter" and "maker". No surprise there, but I rarely do any making for my home. Can we pause just a moment to fully admire this cute sewing machine entry piece!?! I think the mod paint and hardware make this such an eclectic piece. The book features many handy tips gathered in one place. When it comes to the projects, there are more than a few that caught my eye. Talk about making a statement right from the beginning! Don't you just want to continue and peek behind the door!?! This isn't your grandmother's sewing sample either! Of course, the party and entertaining ideas drew me in as well. The wood trivet would make a great gift. 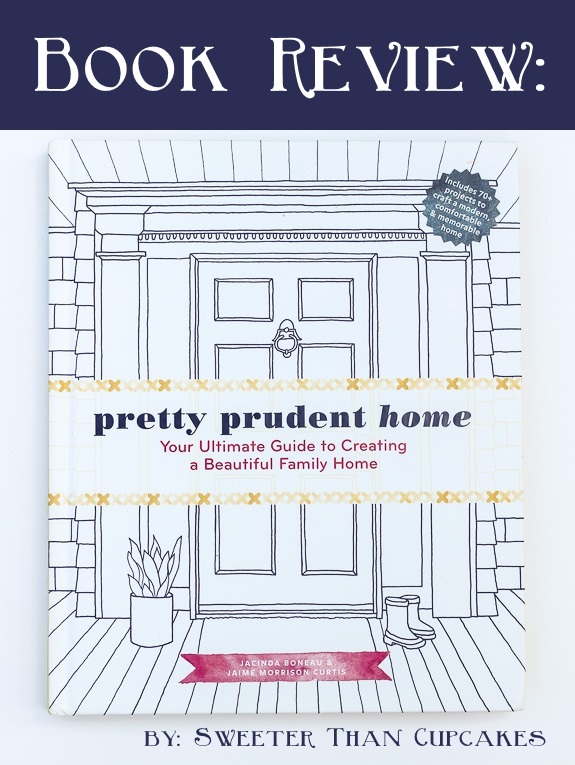 If you are looking for various stylists tips, a few DIY ideas, a little practical life advice, and glimpses into beautifully styled yet practical homes, Pretty Prudent Home is a fresh take on all of those things! I received the book, Pretty Prudent Home, for free. All opinions provided are my own. I will only recommend products that I would use personally and are good for my readers.